If you live in an area that gets distinctive seasons, a garden fountain is a lovely feature in the spring, summer, and fall garden. And let’s not forget the winter! Your fountain is likely in a prominent location of your garden so that you can enjoy it all year round. In the winter, when the snow falls and the temperature drops, it can still be a feature, but in a different way. 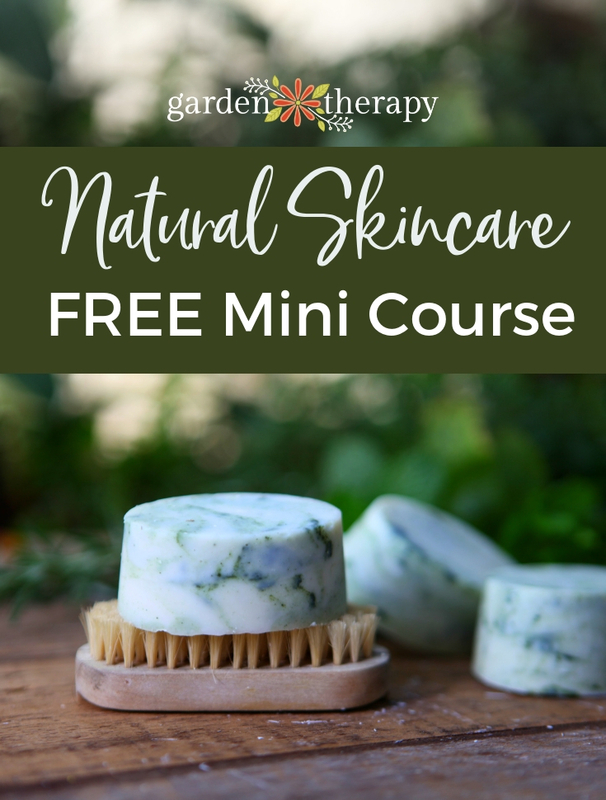 After you do some basic winter fountain care tasks, then it’s time to use the garden to decorate it up with greenery, lights, and ornaments. I have two fountains in my garden, a disappearing fountain in my front yard secret garden as well as a lion’s head wall fountain on my garden studio. Admittedly, the cold weather appeared suddenly this year so the fountains were still running when I had to quickly remove the pumps and prepare them for winter. 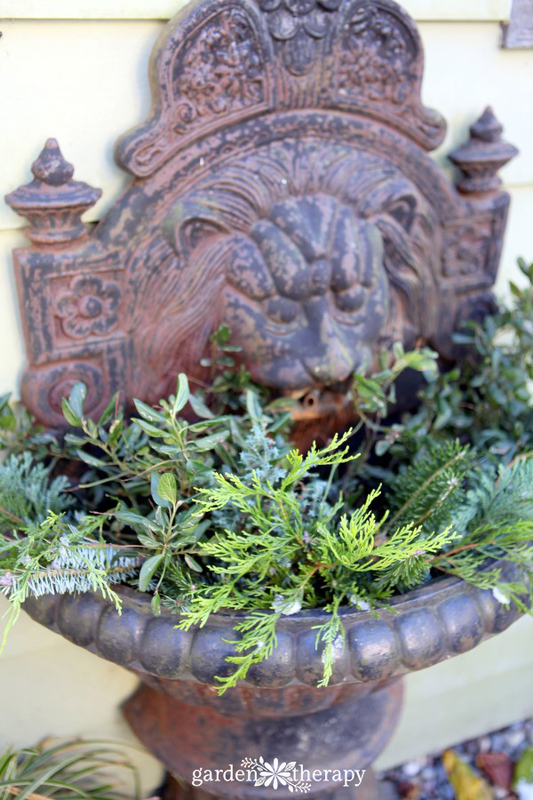 In the summer, I add floating pond plants to our lion’s head fountain along with some floating ceramic fish and a rock for the birds and bees to perch on. Once it was cleaned out and empty it looked a bit sad so I took ten minutes to spruce it up with some freshly cut greenery from around the garden. 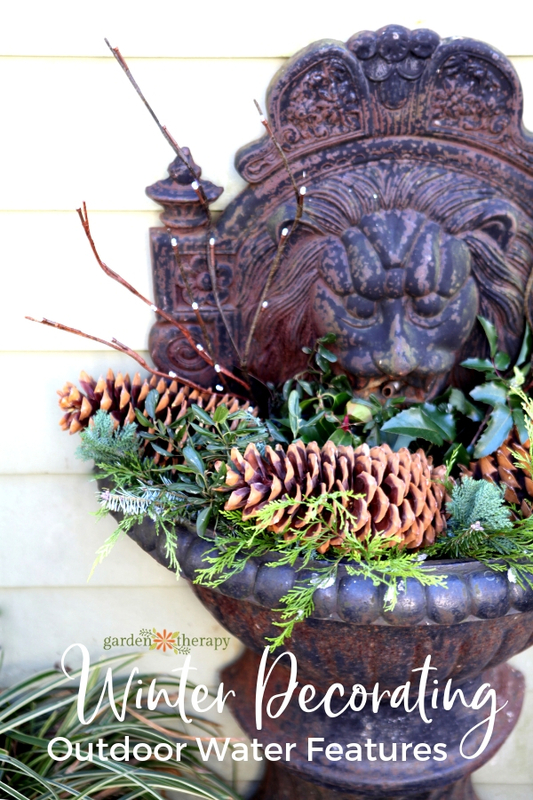 Usually when I do a winter container arrangement, I add soil to the pot to hold the branches in place. I didn’t want to add soil to this heavy, iron fountain and then have the task of cleaning it out in the spring. Instead, I added some crumpled paper that was awaiting it’s time in the compost tumbler. The paper served as a bulk in the the fountain basin and gripped the branches well. The next step was to add the greenery. 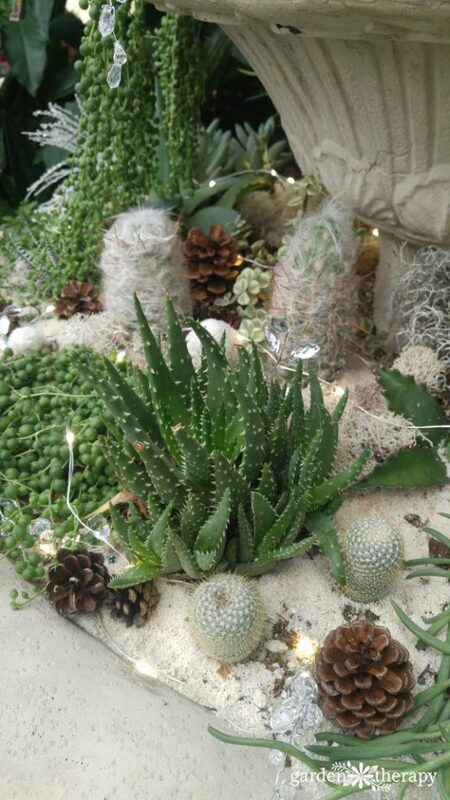 Read about the best greenery to use in holiday decorating. 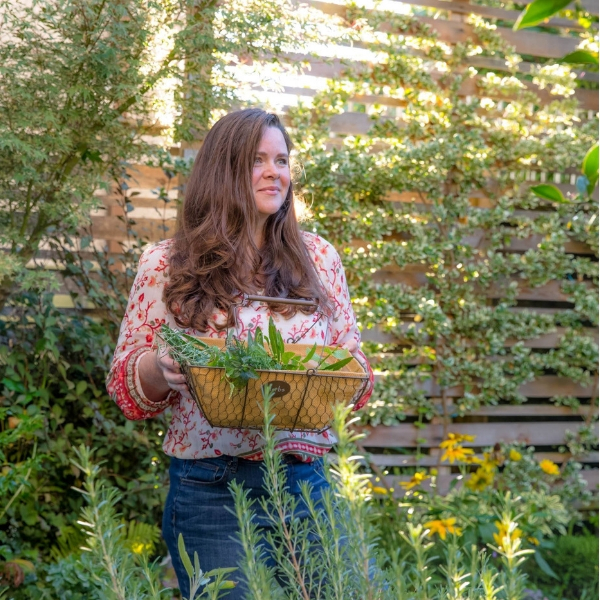 I started with California Lilac and Mahonia as the fillers, branches from my Fraser Fir Christmas tree, and various needle-leaf branches as the spillers, and some LED branches as the thriller. (You can read more about thriller, filler, spiller container design in this article.) I added a few large sugar pine cones simply by setting them on the bed of greenery and I think that the final display is quite pretty. I love the LED light branches here because the stairs walking down to the studio are quite dark and it can be hard to see when I am walking the pathway as early as 4:30 PM! Attaching a timer to the lights means that they will come on at 4:00 PM and stay on until 11:00 PM. 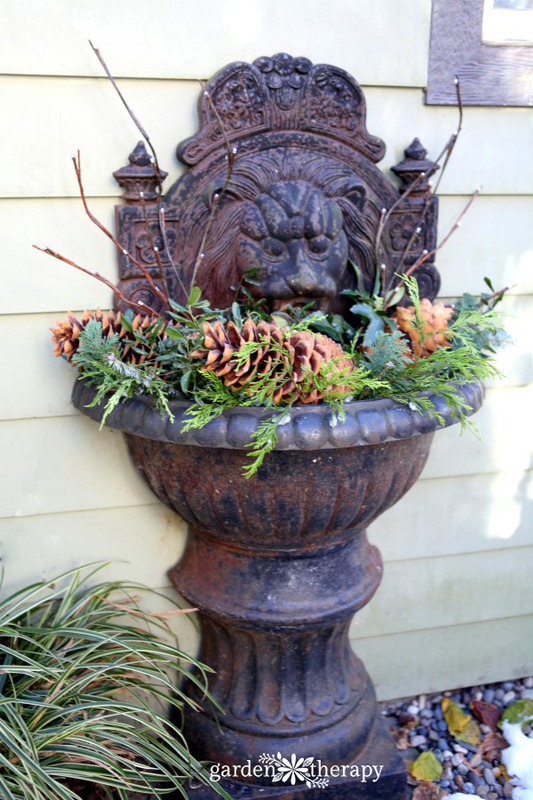 Here are a few other ideas for winter planted fountains that might give you some inspiration for decorating this year. 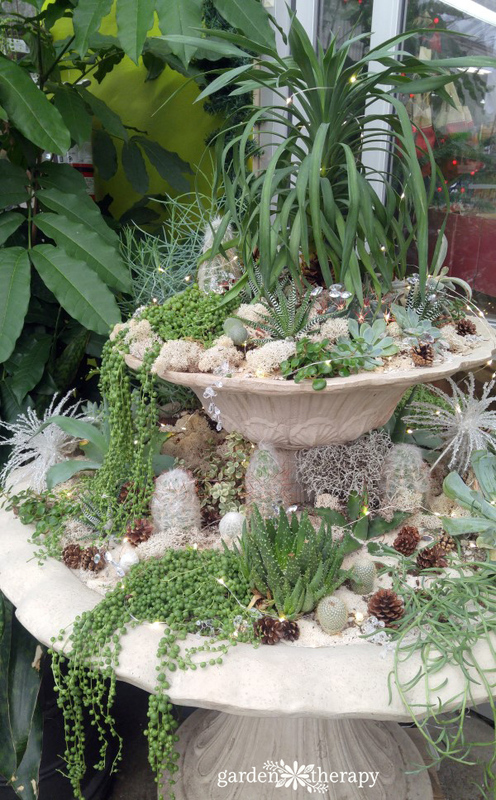 This 5-foot-tall fountain is indoors at a garden center, filled with sand, reindeer moss, sparkling glass ornaments, and succulents. I’m blown away by the beauty! 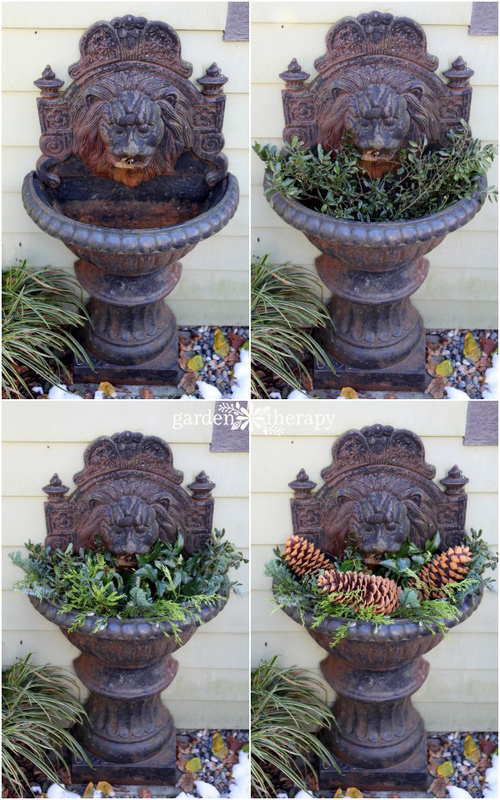 There are many more beautiful planted fountains and birdbaths out there, and whenever I see one I add it to my Winter Holiday Pinterest Board.